Please come out and support my friend Cheryl Romero‘s fundraising campaign for the Leukemia & Lymphoma Society. She is competing in the society’s Man & Woman of the Year competition for the second time to support her goddaughter, Sophia Becraft who is this year’s Girl of the Year. 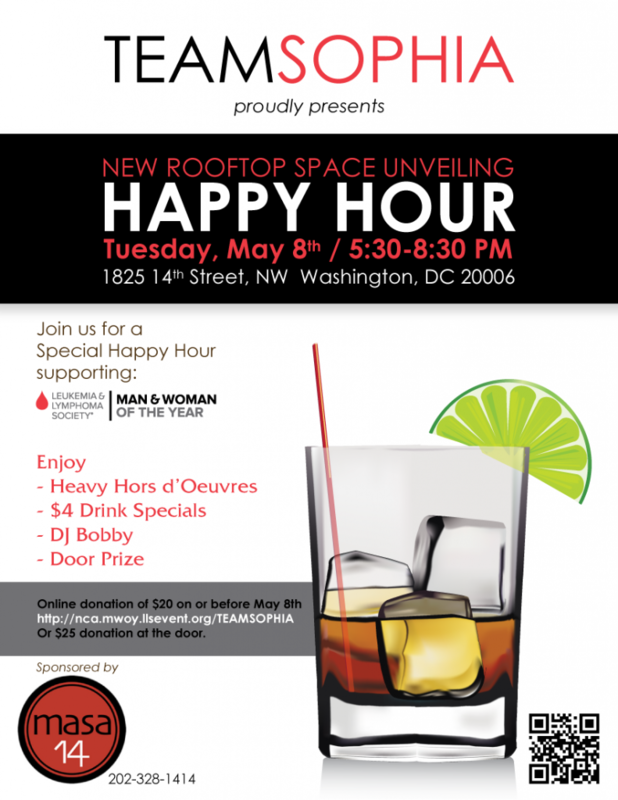 Please join me and the rest of Team Sophia on the new Masa 14 rooftop for extended happy hour cocktails, complimentary food and dancing to benefit The Leukemia and Lymphoma Society’s (LLS) Man and Woman of the Year Campaign. Team Sophia honors Sophia Becraft, a six year old leukemia survivor and the 2012 LLS Sponsor Girl of the Year.